Winter temperatures turn the variegated white and green foliage of First Editions® Pink Frost Illicium a rosy pink. Mix in deep maroon star-shaped flowers in the spring for a stunning specimen tree for growing Zones 6-9. Bred by Plant Introductions, Inc., First Editions Pink Frost is a vigorous growing evergreen. Use it as a shady border shrub or to create an amazing container garden. 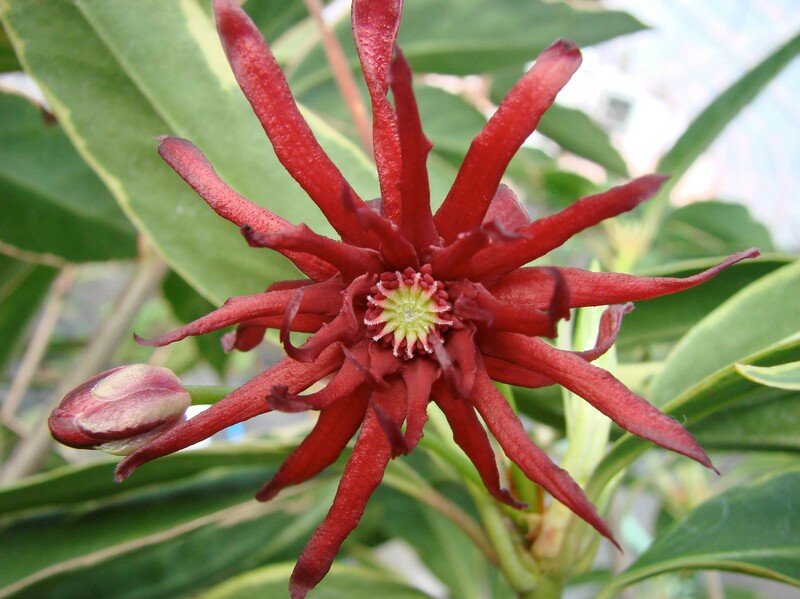 Look for First Editions Pink Frost Illicium in the purple pot at garden centers this spring.